It’s no secret that the rates of obesity in the U.S. are staggering. According to the National Institutes of Health, more than two-thirds of American adults are overweight, and more half of those individuals are clinically obese. Carrying extra weight is associated with a host of health complications, including heart disease, stroke, diabetes, and even some types of cancer. According to the Centers for Disease Control (CDC), these complications are behind some of the most common – and most preventable – causes of death. Paradoxically, as obesity rates climb, so do the rates of Americans heading to the gym. In 2013, the last year for which statistics are available from Statista, nearly 53 million Americans held gym memberships – that’s around 22% of the adult population. Another five million or so don’t have active gym memberships but visited gyms or health centers (using guest passes or while staying at a hotel) at least once over the course of a year. The U.S. also has more gyms than ever, with more than 30,000 health and fitness centers scattered throughout the country. The health and fitness industry is cashing in on our propensity for french fries. In the U.S., health and fitness centers brought in a mind-boggling $22.4 billion in revenue in 2013 – around $423 per year for every person who has a membership to one of these centers. And that figure is heavily swayed by people joining or quitting a gym partway through the year. The actual cost for people who hold a year-round gym membership is more like $700 per person. That figure still might not seem like much if you’re hitting the weights at your gym every single morning and using the gym’s hot water for showers and their electric sockets for your trimmer or blow dryer. But if you’re shelling out a monthly fee for a membership and haven’t seen the inside of your gym since the day you signed up, it’s a raw deal. That’s why it’s so important to pick the right gym and get the best deal possible on your membership. That way you can reach your health and fitness goals without sacrificing your financial health. The number one reason to select a gym is because that gym has something – or, preferably, several things – about it that will make you want to actually show up. Maybe that “something” is that your workout buddy goes to the same gym and will help hold you accountable for your 6am treadmill session. Few elements are more motivating than a good friend who won’t let you slack off. Here are a few other critical factors to consider when selecting a gym. One of the biggest barriers to exercise is lack of spare time. You could get a fantastic deal on a membership to a gorgeous gym with incredible amenities, but if you have to sit in the car for 40 minutes to get there, you’ll likely have a hard time fitting it into your day. And even if you’re someone who happens to have a lot of spare time on your hands, an extended commute to your gym can easily squash whatever motivation you have to get there. It’s one thing to convince yourself that a workout is a good idea. If you have to wrap your mind around traffic too – forget about it. The gym doesn’t necessarily have to be close to your house in order to be convenient. If you like to exercise right after work, consider picking a gym right next to your office (just remember to pack your gym clothes). If you like to sneak in a workout before picking the kids up from school, pick a gym near their school. The key is to select a location that won’t make you travel far out of your way. My gym is only one mile from my home, and I like to run there, lift weights at the gym, and run home. That way, I fit in cardio and weights in one session, and I don’t even have to find my car keys. Only you know what your personal travel threshold is, but it’s smart to err on the side of a shorter commute. And remember: any price you pay for a gym membership is too much if you never use that membership. Maybe the closest gym to you is a total dump. In that case, it doesn’t matter if it’s just down the block. If a gym doesn’t have the ambiance and amenities you need, you’re less likely to use it. Relaxation. For some people, the promise of a sauna, steam, or dip in the hot tub following a hard workout is just enough motivation to get them out the door and to the gym. Personalization. Some people won’t consider setting foot in a gym unless they know that they’ll be greeted with freshly laundered towels, a private locker, and the opportunity to lie in a tanning bed and drink customized smoothies. Time Off. For others, nothing is more important than affordable, on-site childcare. Know what’s important to you and what you’re willing to compromise on. And remember, it’s not all about clean machines and sparkling restrooms. Consider your personal fitness goals and whether or not the gym offers the kind of equipment and classes that can help you meet those goals. Group Fitness. Check the schedule for group fitness classes to make sure that your favorite class type is readily available. If there’s only one Pilates class per week and you can’t live without Pilates, make sure that class works with your schedule. It’s critical to note that some gyms charge extra for certain classes. Ask before you sign up to make sure that you won’t be shelling out more than you budgeted for. Dedicated Space. Some gyms have dedicated space for boxing, squash, racquetball, or basketball, while others don’t. If any of these activities is important to you, make sure your gym has it. Don’t forget to find out if there’s a pool. Equipment. Equipment offerings vary widely by gym. It’s one thing to offer certain equipment or classes, but whether or not those elements are available to you is another matter entirely. Some gyms have lots of squat racks, while others emphasize free weights. Some are nearly all cardio, while others cater to the bodybuilding crowd. 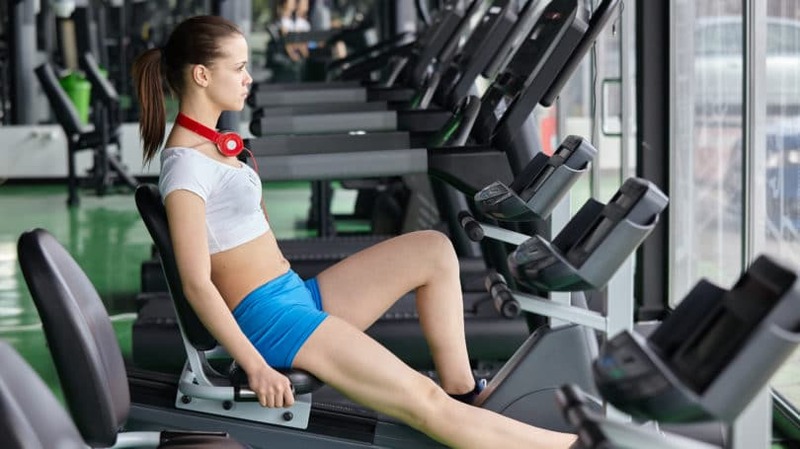 If you’re a cardio king or queen, make sure there are a high number of cardio machines compared to the number of people who have memberships at the gym. A small gym (fewer than 1,000 members) might be able to get away with a handful of treadmills, but a larger gym (5,000-plus members) often has 20 or more. If you’re big on free weights, make sure there is more than one set of each dumbbell weight. Personal Training. If you know you’ll need a little extra push to help you reach your goals, ask about personal training. Not all gyms offer personal trainers on-site, and those that do almost always charge handsomely for the privilege. Expect to pay around $50 per hour-long session with a trainer, and more for sessions with senior trainers and people with special qualifications and certifications. You can ask the salesperson at your gym how many people are members and approximately how many people use the gym on a given day. However, a smarter approach is to show up at the gym during your preferred exercise time and actually see for yourself whether your favorite equipment is available. The number of members doesn’t matter as much as the traffic during the time when you’re most likely to be there. Demand for classes is another issue that warrants investigation before you sign on. Even if your favorite class is offered at your favorite time, it might not be worth it if you have to arrive 30 minutes early to get a spot. And the opposite issue can present problems too – ask the salesperson if a class is susceptible to cancellation if too few people show up. Again, the best option is to find out when your preferred class takes place and try to schedule a tour of the gym during that time. There is no such thing as an “average” gym size, and there is often variation between gym size within the same chain. For example, some LA Fitness locations may have 500 members, while others have 5,000 members. Membership size doesn’t necessarily dictate number or quality of amenities, though gyms with more members typically have more classes and machines to accommodate demand. Large Gyms. Gold’s Gym reportedly averages 5,000 members per site, while Life Time Fitness aims for closer to 10,000 members per site. Both of these would be considered large gyms. Boutique Gyms. Some boutique gyms, such as Snap Fitness, don’t promise to have a lot of equipment or amenities. By design, Snap Fitness locations are pared-down gyms on small footprints. They’re available 24 hours via keycard, but are only staffed during the day. The idea is having a small – not overwhelming – place to work out whenever you want. Snap Fitness gyms may have around 500 members per site. Specialty Gyms. Some gyms cater to a specific type of fitness, such as Crossfit. Crossfit gyms, or “boxes,” can get away with much smaller membership numbers, with 100 to 200 members per box not at all uncommon. Snap’s “small and simple” formula works for some people. Others need the options and energy of a larger gym. You need to decide which atmosphere motivates you. Unless you’re joining a gym that is open 24 hours, make sure to check opening hours for all seven days of the week, as well as holiday schedules. But don’t stop there. Hours for certain amenities, such as the pool, sport courts, and on-site childcare, are often more restricted than general opening hours. Personal trainers are often only available during certain times of the day, and, of course, group fitness classes are subject to a schedule. Ask for a printed copy or a link to an electronic copy of the group fitness schedule, and don’t forget to ask how often the schedule changes. It’s a good investment to spend time researching these schedules before you sign anything at a gym. If you choose a gym and sign a contract because there’s a spin class offered at a time that works for you – and then the schedule changes two weeks after you join, you’re out of luck. Every year, the International Health, Racquet, & Sportsclub Association (IHRSA) conducts research on health and fitness centers throughout the U.S. and around the world. The folks at the Statistics Brain Research Center analyzed IHRSA’s findings, and the results are eye-opening. In the U.S., the estimated average monthly cost of a gym membership is $58. In reality, the costs vary dramatically by location and by gym. If you live in New York City, you can expect to shell out an average of $134.50 per month for a gym membership. If you head down to Charleston, South Carolina, you’ll spend almost two-thirds less, at an average of $48.86 per month. Initiation Fees. The monthly fee for a gym membership is not the only cost to take into consideration. Many gyms charge a sign-up or initiation fee. Sometimes these fees are waived as part of a promotion, but it’s not uncommon to pay $100, $200, or even more for an initiation fee. This might be up for negotiation. Surplus Charges. Remember that some services that are important to you (such as tanning, lockers, personal trainers, and certain classes) may not be included in your monthly fee. Contracts. Some gyms require a contract (typically for one year at a time). 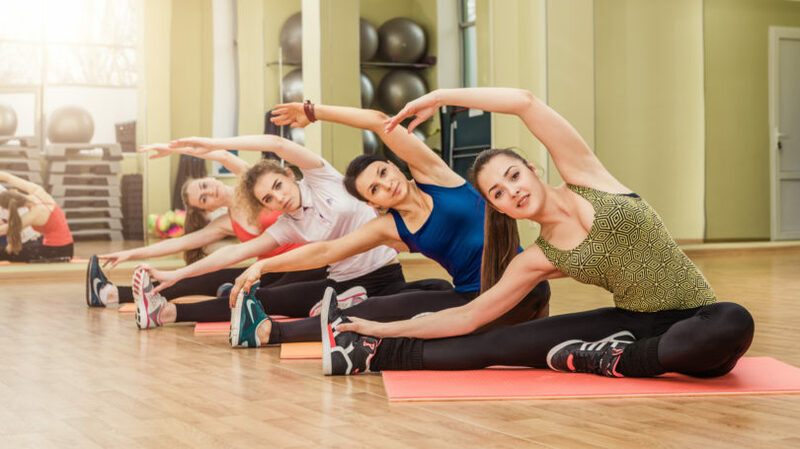 If you might be moving or aren’t fully confident that the gym will be a good fit for you, give a contract serious consideration before signing – otherwise, you could be stuck paying for a membership that you aren’t using. Make sure to read the fine print to see what, if any, termination fee will be incurred if you attempt to cancel your membership early. Here are several of the gym chains in the United States with enough locations (more than 100) to showcase a sampling of common monthly fees. Keep in mind that many gym chains also charge an initiation fee (often $100 or more) and/or an annual fee (often more than $40) in addition to the monthly cost. Also, remember that prices change regularly, and often vary by location within a single chain. LA Fitness. 600-plus locations. Prices may vary by location, but $29.95 per month is common. 24 Hour Fitness. 400-plus locations. Basic membership price is $49.99 per month. Planet Fitness. 800-plus locations. Offers a basic membership for $10 per person, per month, and VIP membership (which includes tanning, use of massage chairs, reciprocal use of other Planet Fitness locations, and more) for $19.99 per person, per month. Snap Fitness. 1,500-plus locations. Prices vary by location. Individual memberships at a sample gym (located in Hartland, Michigan) cost $29.95 per month; two-person memberships cost $49.95 per month; family memberships cost $59.95 per month. Gold’s Gym. 400 locations. Prices very by location. Basic memberships at a sample gym (located in Paramus, New Jersey) cost $29.95 per person, per month, and VIP memberships (which include unlimited group fitness, limited free tanning and personal training, and more) cost $49.95 per person, per month. Life Time Fitness. 100-plus locations. Prices vary by location, and Life Time is tight-lipped about pricing, though I was personally quoted $169 per month for a two-person membership that included all on-site amenities including group fitness, lockers, towels, saunas, and steam rooms. Anytime Fitness. 2,000 locations. Prices vary by location, and while Anytime Fitness does not readily publish pricing information online, a 2013 Forbes Magazine article quotes an executive from a consulting and market research firm who estimates monthly rates at Anytime Fitness between $35 and $55 per person, per month. As you can see, six out of the seven gym chains listed above offer prices at or below the average monthly cost of a gym membership. These large franchises are able to charge lower prices in part due to volume of memberships, but in part out of necessity since they are all in competition with each other. Independent gyms and those that offer specialized fitness offerings, such as Crossfit, can easily charge more. For example, one Crossfit location in New York charges $230 per month, well above the local average. Yoga is another specialized fitness offering that commands proportionately higher prices. Behemoth yoga franchise CorePower charges $205 for one month of unlimited classes on the higher end, such as in San Francisco, and $154 for one month of unlimited classes on the lower end, such as in Salt Lake City. Here’s how they came to that figure: Of those who hold gym memberships, an astonishing 67% of them never use the memberships. People who hold on to gym memberships but don’t use them are a gym owner’s dream. If two-thirds of your members never show up to use your facilities, you can continue to collect monthly payments without facing overcrowding, resource utilization, and wear and tear on your machines. Those who do use their gym memberships do so, on average, twice per week. It’s worth noting that many health insurance companies provide financial incentives for people who use the gym a certain number of times per month (12 is a common minimum number of visits), and twice per week doesn’t cut it. In addition, the CDC recommends a minimum of 150 minutes of moderate-intensity aerobic activity per week plus full-body muscle strengthening activities at least two days per week. Unless you’re engaging in extraordinarily long sessions featuring 75 minutes of cardio and a full-body strength workout during each visit to the gym, you’re not going to hit the minimum recommendation with only two visits. A gym membership is an investment in yourself. Obesity doesn’t just create health problems – it also costs a lot of money. According to the CDC, in a single year, the healthcare costs associated with an obese person are, on average, $1,429 more than the healthcare costs associated with a person of a healthy weight. The estimated total cost of annual healthcare for obese adults in America is around $150,000,000 – yes, that’s $150 billion. Fortunately, you don’t have to foot the bill for the whole country’s overindulgence. You do, however, have the opportunity to take charge of your own life and make healthier choices. And you don’t have to break the bank to do so. There’s a reason why many gyms don’t publish prices: Different members often pay wildly different amounts. Even if your gym does publish prices, it’s worth trying to negotiate. Many of the published prices are an “ideal” target for your gym, and if they’re low on membership numbers, they may be very willing to go lower. Negotiation strategies include initially offering something significantly lower than the first offer in hopes of meeting somewhere in the middle; asking the gym to waive the initiation fee if they won’t budge on the monthly rates; requesting that your rate drop after a certain amount of time if you stay with the gym; and asking for free extras, including personal training, tanning, or other perks that usually incur a fee beyond the monthly rate. By negotiating, I ended up paying around 50% of the price that was initially quoted to me at my current gym. Many gyms offer per-person discounts when multiple people sign up together. For example, one person might pay $50 per month, but two people on the same membership might pay $80 (or $40 per person, per month). While these shared memberships used to be commonly restricted to legal family members, it is increasingly common for gyms to permit roommates and significant others to share memberships. Just make sure that the contract is arranged such that you’re not stuck with the bill if your workout buddy bails on the membership. If you pay $60 per month for a gym and only use it once per week, you are essentially paying $15 every time you set foot in that gym. Was that 20-minute elliptical session really worth $15? The more you use your membership, the cheaper it is per visit – and the more likely you are to achieve results. If you go five days per week, you’re paying more like $3 per visit – and you’ll look and feel better for it. If you do most of your exercise at home and only want to attend a class here and there, you might actually save money by paying per visit rather than per month. Not all gyms offer drop-in arrangements, so make sure to inquire in advance. Also, ask about “punch cards” that may allow you to buy drop-in visits in bulk to save even more money. Of course, if you start using the drop-ins so often that you would be paying less for an unlimited membership, the drop-in arrangement quickly becomes a money pit. If you live near a hotel or university that has on-site fitness facilities, ask what they’d charge for an “outsider” to work out there. Ask politely, and be prepared for a “no.” Don’t argue, since the institution may have a policy in place that forbids outsiders to use facilities for security reasons. Still, it can’t hurt to ask. If they do say yes, feel free to negotiate. A hotel or university might be willing to offer a good deal if you choose to exercise during their “down” periods, such as in the summer at a university. There’s nothing more freeing – or more free – than exercising on the open road or in a public park. If you’re a runner, you need to invest in good quality running shoes (estimated cost $100), a water bottle (estimated cost $10), and some running clothes (estimated cost $50 per outfit). However, that initial investment should last you through a hundred workouts or more. Bicycling, rollerblading, and cross-country skiing are other outdoor options, though there’s a higher initial investment for equipment. You could also join a community league to play the sport of your choice – fees range from free at the public park’s basketball court, to several hundred dollars per month for a golf club membership. You can get a full-body, high-quality workout with zero equipment other than a pair of sneakers and some comfortable clothes. Learn how to do proper push-ups, dips, sit-ups or planks, squats, lunges, burpees, and Tabata routines, and you’ll cover nearly every muscle group. You can do these exercises anywhere, any time, for free. If you need a little more structure to keep you motivated, you can purchase exercise videos to do in the comfort of your home. Prices vary dramatically, though you’ll pay significantly more for programs with more DVDs and extras such as meal plans. Popular choices include Jillian Michaels 30-Day Shred ($6.99), Insanity ($145), and P90X3 ($140). You don’t need fancy, expensive workout equipment to get fit at home. With just a few pieces of workout equipment, such as a jump rope, a battle rope, stability ball, and dumbbells, you can have an excellent and versatile setup that can mostly be tucked away into the corner of a room when you’re not using it. Good equipment doesn’t have to cost a lot – there is a lot of exercise equipment available for less than $100. Getting fit shouldn’t have to mean making your wallet sickly thin. If you’ve been dragging your heels on joining a gym because you’re afraid of the high costs, remember that, as a potential customer of a gym, you hold a certain amount of power. Don’t be afraid to ask for what you want. If they can’t meet your needs, don’t forget that you have alternatives – even if you’re talking to the only gym in town. Whatever you do, don’t sacrifice an opportunity to invest in your own health by choosing the wrong gym or paying more than you can afford. It’s worth repeating a million times: The best deal is on a membership that you will use. How much is too much to pay for a gym membership? How many times per week or month do you think you need to go in order for your membership to be worthwhile?